This holiday season, the Governor and First Lady invite you into their home to take a tour of the historic Kearns Mansion, now known as The Governor&apos;s Mansion. Tours are free, and take place every Tuesday and Thursday throughout the month of December. Tours begin every thirty minutes between 2:00pm and 4:00pm. You must arrive by 3:30pm for the last tour. The last date for the holiday tour is December 22nd, 2011. Learn more about the tours courtesy of the Utah Heritage Foundation. 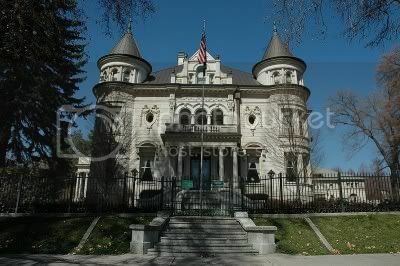 The Governor&apos;s Mansion is located at 603 E. South Temple in Salt Lake City. Learn more about the Kearns (Governor&apos;s) Mansion, and the history behind it. You can even participate in a game while touring the mansion! Photo obtained from wikipedia. Read more from Michelle Powell at http://www.enjoyutah.org/.